F rom the start, it was important that we contributed in our own way towards changing the African narrative, especially Nigeria. Giant of Africa we may be, but sadly conversations around building, sustaining and conducting business in our corner of the world evokes negative sentiments. 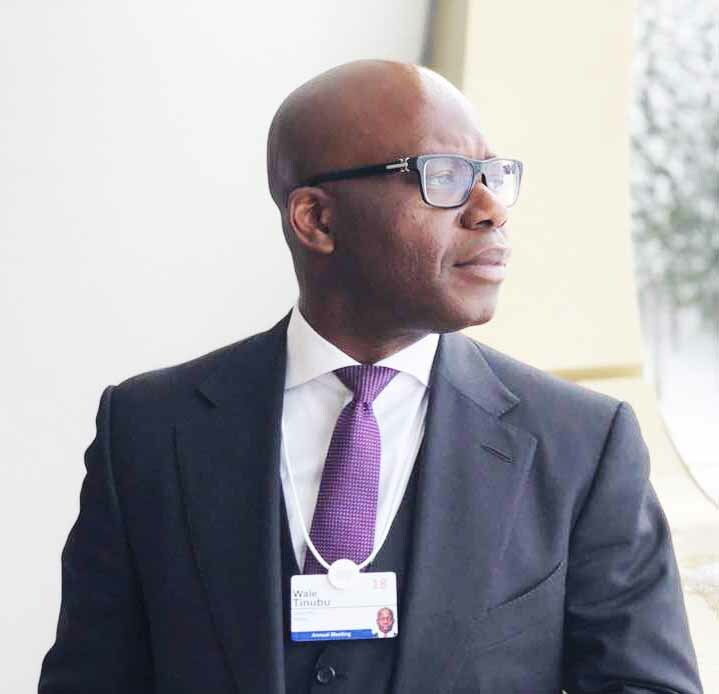 Yet the Oando story paints a very different scenario… it shows that there are no limitations when perseverance, innovation and a vision that embraces our unique terrain form the foundations of your strategy. Being audacious is just what we do…who we are… and as we continue to accept challenges as opportunities, we will continue to thrive in an economy like ours. Today, we have a success story that continues to positively impact both the sector and the Nigerian economy. In the Upstream, the local capacity dearth within the sector led us to pioneering indigenous participation via the incorporation of our Energy Services business in 2005. In the same year, we became the first African company to achieve a cross-border inward listing on the Johannesburg Stock Exchange, making us the first African company to be listed on the stock exchanges of the two largest economies on the continent. Two years later, we purchased our first two rigs and in 2008, we became the first indigenous oil company with interests in producing deep water assets through the acquisition of two blocks. In the Midstream, we pioneered the development of Nigeria’s foremost natural gas distribution network which has subsequently grown to become the largest private sector gas distributor in Nigeria, delivering at peak, 70 million standard cubic feet per day (“mmscf/d”) to over 175 industrial and commercial customers via our vast network of gas infrastructure. It’s gratifying to know that industrial giants such as Honeywell Flour, Dangote, Guinness and Nigerian Breweries, all listed on the Nigerian Stock Exchange, take gas from us. Having started out in the Downstream, we built the leading oil and marketing retailer in West Africa and in 2017 conceived and launched the Lagos Midstream Jetty (LMJ), West Africa’s first privately owned midstream jetty. The $150 million jetty will save marketers approximately $120 million annually; increase receipt capacity, efficiency in product discharge and reduce vessel waiting time; ultimately eliminating demurrage and lightering requirements. In 2014 we made the landmark acquisition of ConocoPhillips Nigeria for US$1.6 billion; making us the first indigenous company to acquire an International Oil Company (IOC). This strategic move was to shift the business into the Upstream sector although exposed to commodity price fluctuations would be dollar earning thus providing a more stable return. This single transaction catapulted us from a circa 4,500 barrels of oil per day production company to 50,000 barrels of oil per day at the time. The first of its kind for an indigenous company. The African business environment is dynamic and the only way to remain ahead of the curve is by breaking new terrain, being innovative and ultimately looking for opportunities to leap frog. At Oando we try to emulate this, we believe we are energy pioneers with an ambition to consistently tackle risks and evolve opportunities to positive commercial outcome while maintaining global standards. This is the spirit with which we have embraced our journey and we will continue to improve our human capital by hiring and partnering with both local and international best in class in all fields. The good news is, there are still many parts of the energy ecosystem especially in Nigeria that have been left unexplored and we will continue to set the tone in transforming Nigeria and ultimately Africa’s energy future. You would agree with me that a daunting feat of this nature cannot be achieved from a place of comfort and my DNA, the company’s DNA thrives in making the unrealistic a reality. Guided by the consciousness that we are far from ordinary, we have refused to settle for just being a company that sells petroleum products. Our ultimate goal is changing the Nigerian oil and gas landscape and shaping the future of energy in Africa …and I’m proud to say we are well on our way to achieving that. The country and sector took a heavy blow with the global downturn in oil prices. We had no choice but to proactively realign our business strategy to the new reality of lower oil prices for longer. At the time we had a significant deficit and a Group made up of marketing, gas and Upstream businesses. We had to take a critical look at our portfolio and long term corporate objectives asking ourselves what are the things we need in this new era to allow for the best returns and also provide the best assurance of futures in stability in terms of earnings. We commenced an aggressive restructuring programme in 2016 via a strategic partnership with a consortium of Helios Investment Partners, a premier Africa-focused private investment firm, and Vitol Group, the largest independent trader of energy products for a US$210 million recapitalization of our Downstream business. The partnership which leverages Oando’s sector dominance, considerable local knowledge and expertise; together with Helios Investment Partners and Vitol Group’s international, and technical capabilities, is well on its way to reinvigorating Nigeria’s Downstream sector and in the long term I believe will create one of Africa’s largest Downstream operations. In 2014, just before the crash in oil prices, we took out a sizeable debt to the tune of approximately US$900 million towards the $1.6 billion landmark acquisition of ConocoPhillips Nigeria assets; as at September of this year through deliberate capital discipline we have been able to reduce this by 70% to a commendable US$270 million. These numbers are indicators that despite the continued incline in oil prices we have taken lessons from the past and remain focused on more prudent ways of doing business in order to create value for all our stakeholders, and drive sustainable growth. Today we have over 470 million barrels in 2P reserves and the way to increase value is to accelerate the extraction of these reserves. We are currently producing an average of 40,000 barrels a day with an aggressive drilling programme that will see this figure increase to circa 75,000 barrels of oil equivalent over the next 3 to 5 years. From a growth perspective it is about building the capacity to do more – drive production but also inorganic growth through acquisitions and potentially mergers. Strategic partnerships, an imperative in the high cost, high risk environment that is Upstream will also be key in our new growth strategy. In the near future I don’t envision any further realignment, I believe as a business we are in a much stronger position – our business fundamentals are right, cash flow is strong, production is on an incline and the operating environment is positive. Investors are carefully watching Nigeria as the country moves toward its next presidential elections. How will Nigeria’s political climate affect the oil and gas sector? Or will it? Looking at our national track record, I don’t believe the elections should be an area for concern for either investors or the private sector. Since 1999, Nigeria has held five consecutive, hitch free elections and it is unlikely that this is going to change now. Today what is becoming more prevalent across the continent is an improved democracy so it’s inconceivable that Nigeria the giant of Africa would buck this trend. I believe the Government and people are poised for a positive outcome. There is also no hard evidence to suggest that Nigerian elections have had or will have a negative impact on the oil and gas sector. Although not representative of the whole country, data from our Joint Venture (JV) operations show that just before an election there is usually a decline in sabotage and bunkering, increased speed to push through policies for an improved business environment to name a few. It’s a transitional period for us as a country, expectations are high, as the political decisions we make as a country will have a significant impact on every business sector, oil and gas included. Foreign direct investment is fundamental to the continued development of the nation; my belief is that irrespective of the Government they will continue to develop and implement frameworks that are enabling for increased investment and the good of the nation as a whole.